‘Senior Citizens’. 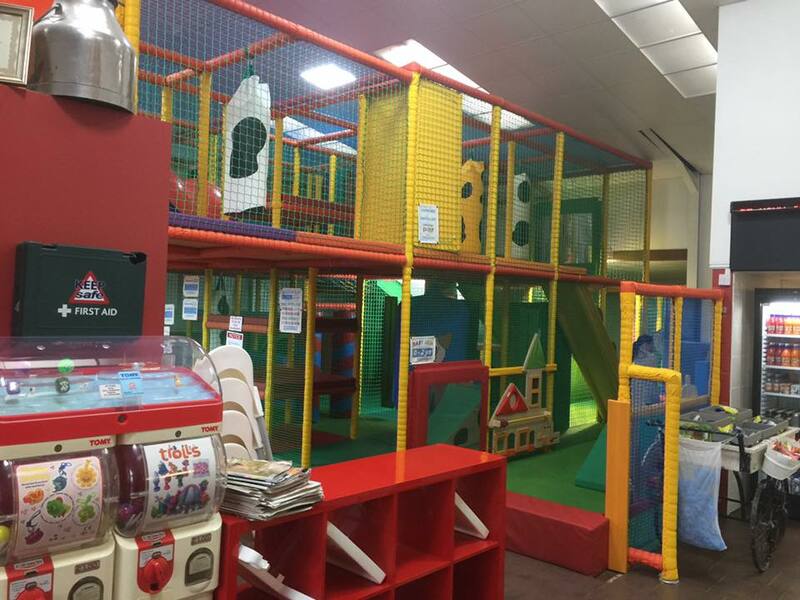 We also hold an ‘After School’ soft play session every day so there’s always plenty going on! As you come through the door you’ll see directly ahead of you our kitchen. This is where you can get all kinds of refreshments from soft drinks to hot coffees and teas, with plenty of snacks also available for hungry visitors! We have plenty of comfortable chairs and tables for everyone to take a break from the farm activities and enjoy their refreshments. 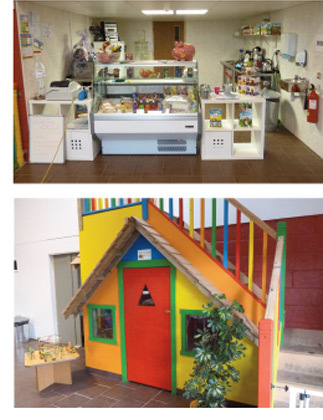 One of the other things you’ll see as you first enter is a colourfully attractive miniature house. This is what our popular Sulcata Tortoise ‘Rocky’ calls “home”. Through the doors to the right you’ll suddenly find yourself in a whole new animal environment where we keep birds, insects and reptiles including our Bearded Dragon! This area is our Education Centre where we spend time teaching our school and college visitors the many different aspects related to our farm and caring for all the animals that live here. Our party rooms and super hero room make birthday parties a success for children of all ages. With a special garden room for senior citizens to enjoy a relaxing afternoon tea coming soon. Before you go you can also take a look at the items we have on sale in our gift shop and sweet shop where you can get yourself a souvenir of your visit to Paradise Found Educational Farm Park.